Takamine Guitars have over 50 years of history dedicated to innovation and improvement to the art and craft of guitarmaking. Don't settle for less. With Ibanez electric guitars, less bucks doesn't mean less looks or less tone. In fact, Ibanez electric guitars have become the unchallenged standard in hard rock and heavy metal. With a variety of guitars to choose from, you can't go wrong with Ibanez electric guitars! 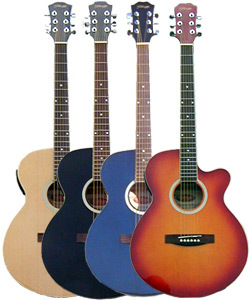 Sound and playability are two very important components in an acoustic guitar, and Ibanez acoustic guitars have both. They standout visually and sonically, and can help enhance your performance. The appearance and sound of Ibanez acoustic guitars were designed for the guitarist who is looking for a completely new and different voice – a true attention getter. You won't find anything else quite like Ibanez acoustic guitars - a perfect balance of classic design and exotic beauty. Established in1995, Stagg Music is a brand dedicated to bringing high quality musical instruments and accessories to musicians of all types, at the most attractive prices. All our instruments are handmade from designs created by our team of specialists at our global HQ in Belgium. 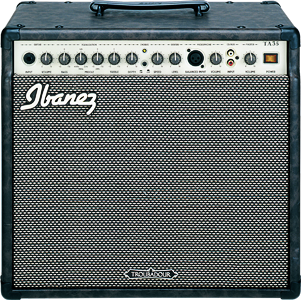 Ibanez guitar amps have enough power and features to make them the perfect choice for gigs or for practice. 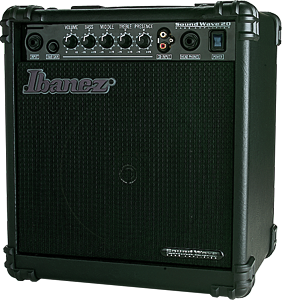 Ibanez bass amps have the clarity and booming lows of the big rigs - plus they easily handle active and passive basses, all at a price that is affordable.